Vitamin C is great for keeping the immune system healthy and is a known antioxidant. It also helps your body absorb iron better and more efficiently, so if you are taking an iron supplement orally, take vitamin C supplement at the same time. In addition, a study suggests that vitamin C may play an important role in our bone health, as well as help in the treatment of anemia in CKD. A lab-based study proposes that high-dose vitamin C may have an antioxidant or protective effect on the kidneys, although a comparative study has not been done in humans. Too high of a dose of vitamin C can affect the kidneys, as it can cause oxalate (ox-ul-late) to build up in the kidneys. Oxalate is a byproduct of vitamin C; if too much vitamin C is eaten in the diet, the levels of oxalate can build up and be toxic to the kidneys. In addition, it can increase the risk of kidney stones. As Vitamin C is abundant in fruits and vegetables, there is likely no need to take a vitamin C supplement if you are on a vegetarian diet. If you are taking an iron supplement, as many with anemia and CKD are, then I would take no more than a total of 125 to 250 mg of vitamin C or ascorbic acid daily. Note that vitamin C can also lower zinc levels, and zinc levels can be low in those who have CKD, particularly in the setting of a low-protein diet. If you are not eating a healthy diet, you may need to increase the levels of vitamin C in your diet, but do so only under a doctor's supervision. There are millions of people with low levels of vitamin D in this country - all ages, shapes, and sizes are affected. The combination of a lack of adequate sun exposure and a Western diet low in vitamin D is causing this nationwide deficiency. Vitamin D deficiency is not found only in those with CKD, but also in those with normal kidney function. And there are many whose vitamin D levels are dangerously low. To clarify, there are two different types of vitamin D. The first type of vitamin D concerns vitamin D before it is further processed in the kidneys (the kidney-specific vitamin D). Many people with CKD can be on both forms of vitamin D.
In addition to aiding bone health, vitamin D may have beneficial effects on the heart, as well as improve anemia and help the immune system. It may also help lower proteinuria. Vitamin D may potentially do a lot more and it is currently being researched. Your doctor can order blood work to see what your vitamin D levels are. If they are low, two different types of replacement can be used. There is vitamin D2 and vitamin D3. Either form can be used, although the vitamin D3 is better absorbed. In general your doctor may ask you to take one tablet, or 1000 IUs (International Units), of vitamin D3. Your doctor will then obtain follow-up blood work and depending on the test results, may change your dosage. Vitamin E is a very good antioxidant and some laboratory studies have demonstrated that it may help reduce oxidative stress and inflammation in the kidneys. It may also reduce free radical formation and help reduce proteinuria in certain types of nephritis. Additionally, vitamin E may work well with alphalipoic acid for a more significant anti-inflammatory effect. The optimal dosage of vitamin E is not yet known. Given the oxidative stress and inflammation present in CKD, a dose of 200 to 400 IUs may be beneficial. If you have nephritis, you may benefit from a higher dose. 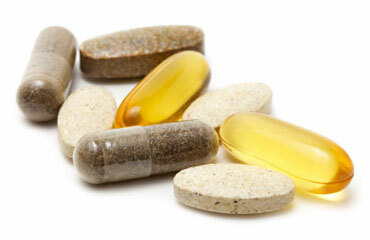 Talk with your doctor before taking any vitamin E, especially if you are on blood thinners. Further study is needed. To find out more, you can check out Vitamin D Kidney Disease.